Anxiety, Depressed, Bipolar or just Making Excuses? I think i may be depressed. I have a very difficult time falling asleep and often take several hours to do so, and when i do fall asleep i wake up many times throughout the night. I've had this sleeping problem most my life but over the past 6 months its become extremely difficult for me to get out of bed in the morning. This has caused me to arrive late at school or miss a day entirely. I have missed almost 20 days of school this year. Sometimes I skip school because I feel that I just cant deal with people or the teachers. My G.P.A had never fallen below a 3.5 until this year, my current G.P.A is 1.5. I lost motivation in school and other activities i enjoy. I dont even involve myself in conversation with my freinds anymore and often fall into a trance while everybody converses. I constantly feel overwhelmed with school and the guilt of my low grades. I often feel as if my mind is detached from my body and environment and get the sensation that life is a dream. Other times I feel anxious and think that people are constantly watching and judging me. My mind tends to fluctuate between these two feeling throughout the day but on the rare occasion i will have a huge burst of confidence and energy. This boost occurs about once a week......Is this mood fluctuation due to a Bipolar disorder or is it normal in depression? Am i even depressed or do u think this is all due to a flaw in my own motivation and work ethic? I can tell you right off - that this is NOT due to a flaw in your character, or just some kind of excuse for slacking. Something is going on that needs to be addressed. I couldn't say for sure without evaluating you fully. Sometimes Bipolar Disorder does start with those kinds of symptoms. For that reason, I must caution you - that it can be extremely risky to take an antidepressant medication if there is an underlying, untreated Bipolar Disorder. Often an antidepressant triggers extreme mania and sends you on a roller coaster that lasts for years. Don't blindly trust any doctor who isn't an expert in Bipolar Disorder (actually don't blindly trust anyone). There are lots of other possible reasons for these experiences you're having, including physical issues - like thyroid problems, or nutritional imbalances - can cause all sorts of extreme emotional ups and downs, anxiety and all. It's important to get checked out fully, but a doctor who isn't going to just make you pee in a cup and do a few simple labs. Someone who can look at the whole picture is what is needed. Remember that even with a serious neurological issue like Bipolar Disorder, there are always psychological/emotional aspects and stress makes it all far worse. So finding healthy ways to take care of yourself, emotionally and physically, can only help. Exercise, good nutrition, low sugar, low gluten/grains/carbs, and no artificial sweeteners or preservatives is a good place to start. 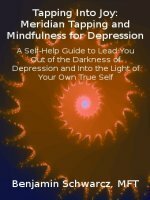 Learning EFT/Meridian Tapping can be extremely helpful for any of these symptoms: depression, anxiety, low motivation, and insomnia can all often be improved quickly with Tapping. I'd start by ruling out anything serious. See a good health practitioner for a full evaluation.